We’re a proud sponsor of Eat2Give, a one day event here in Santa Monica that combines several of our favorite things: Supporting local, dining out at amazing spots and giving back to Santa Monica charities. 30 PARTICIPATING RESTAURANTS and 23 PARTICIPATING CHARITIES! 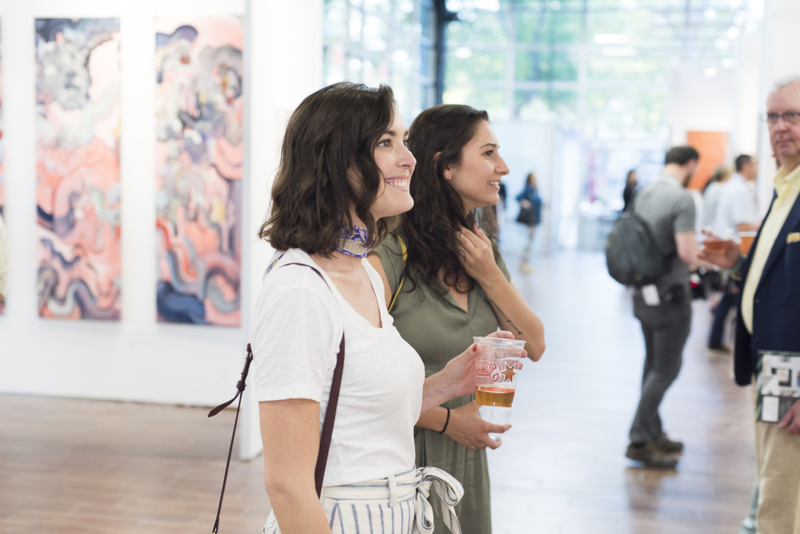 The more people participate, the more money is raised, the more exposure the restaurants get and the more people find out about the non-profits. Talk about a win/win! So if you’re in the area next Saturday, pop in to support the below establishments (and their aligned charity partners). 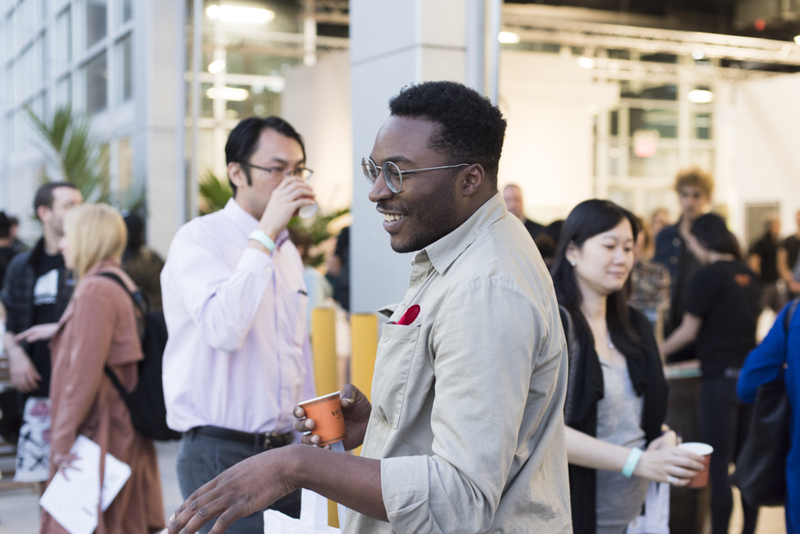 We’re already mapping out our culinary tour and hope to see you along the route! 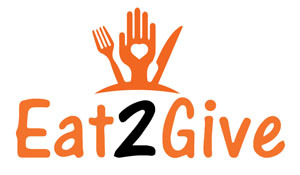 To learn more about Eat2Give, CLICK HERE. 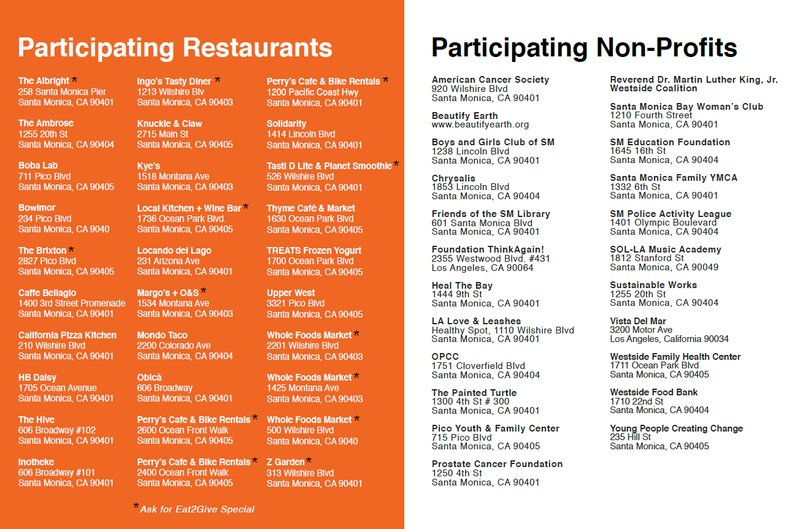 Share the post "Join Us for Eat2Give October 15 in Santa Monica"